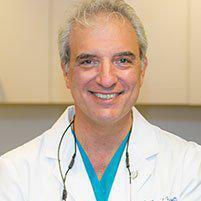 Dr. Franzetti uses state-of-the-art periodontal surgery techniques to help patients from Manhattan and Brooklyn, NY, prevent and manage gum disease so they can enjoy healthier teeth and gums and more attractive smiles. Periodontal surgery includes all the surgical techniques used to help treat or prevent gum disease. Gum disease is the most common cause of permanent tooth loss in the U.S. While some early or mild forms may be treated non-surgically, some types of advanced gum disease require more intensive approaches including periodontal surgery to restore gums, remove bacteria and tartar, and prevent permanent tooth loss. In flap surgery, incisions are made into the gum tissue and the gum is gently lifted back from the tooth to enable removal of tartar and bacteria. Irregular or uneven areas of bone may also be gently reshaped to make it more difficult for tartar and bacteria to adhere to the tooth surface. The gum is put back in place and “snuggled up” to the tooth to make it more difficult for bacteria to invade. What is bone surgery or bone grafting? Bone surgery is used to reshape and restore depressed areas or “craters” that form in bone tissue as a result of advanced gum disease. These small craters or pockets are attractive to bacteria, and by eliminating them through gentle shaping, the risks of gum disease, infection, and additional bone loss are decreased. When substantial amounts of bone are missing, bone grafts may be used to build up the bone and provide better support for tooth roots. Grafts may be taken from your own mouth or they may come from a tissue bank. Gum grafts take tiny samples of gum tissue from one area of your mouth and suture them in place, where your natural gum line has receded. By supplementing the gum tissue, exposed tooth roots can be covered and the risk of tooth loss due to gum disease can be substantially decreased.